Panoramic ride through the Old Town (short stroll) & Downtown area, ride across Sava river to the New Zagreb (Zagreb Fairgrounds, Park of the Newlyweds, Mammoth building – the biggest residential building in Croatia & ex Yugoslavia, visit to the Utrina farmers market, drive past Zagreb's biggest military barracks, coffee at Bundek lake. Includes: coffee at Utrina farmers market, refreshments along the way, monthly city guidebook with a map & a small surprise. Extra: entrance fee to the Museum of Contemporary Art. THE OLDEST PHARMACY – right above the gate there is a pharmacy that continues the tradition of the one established long ago, in 1355. 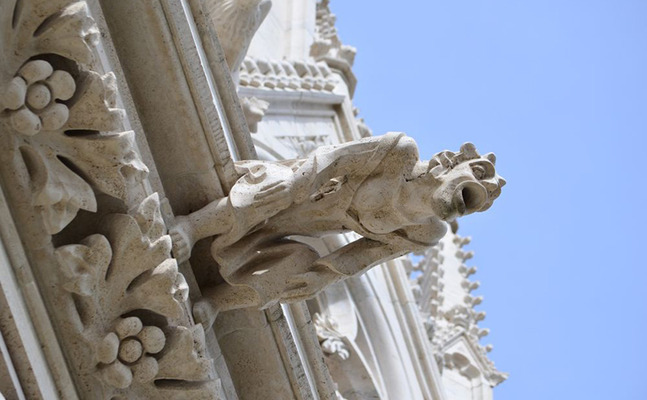 A memorial plaque tells us that a great-grandson of Dante, the author of Divine Comedy, worked in Zagreb as a pharmacist in late 14th century. 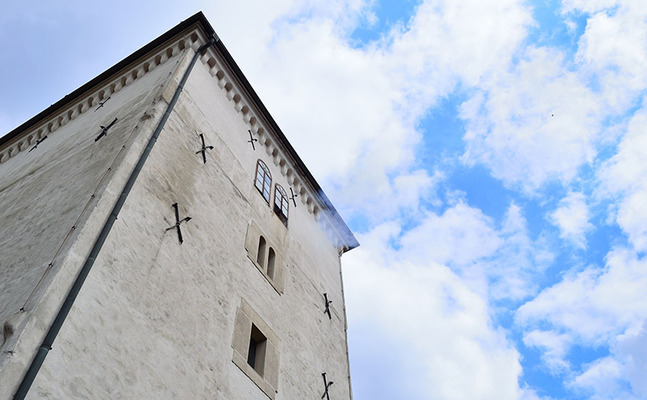 THE STONE GATE (KAMENITA VRATA) – is the only preserved town gate of the original four. 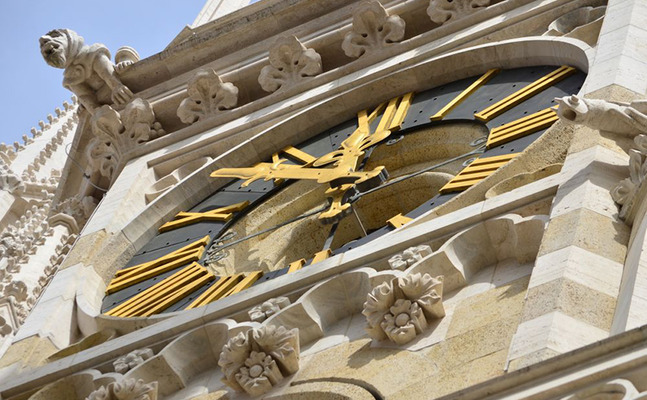 Although it is first mentioned as early as in Middle Ages, its current shape dates back to 1760, when the baroque Chapel of Holy Mother of God was built in its gateway around an old painting of a local artist. 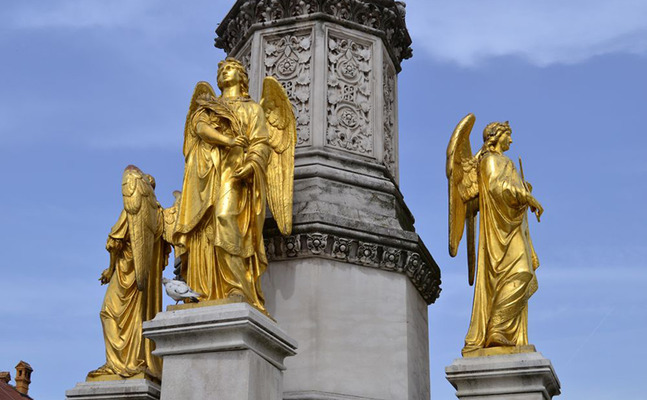 The painting miraculously survived the great fire that destroyed all wooden parts of the gate in 1731. Ever since, many people have been gathering in front of the miraculous painting daily, praying and lighting candles in the honour of Our Lady. 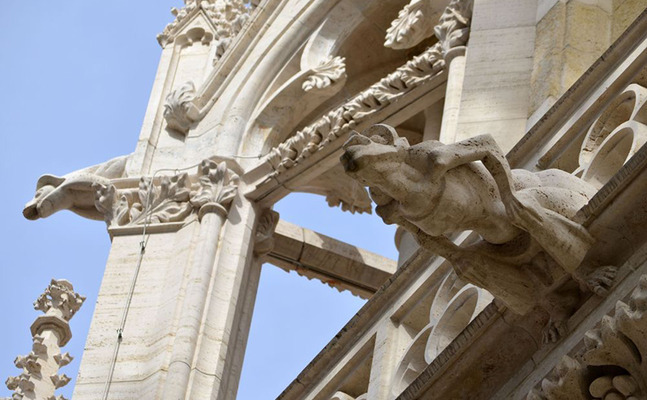 ST. MARK'S SQUARE – St. Mark's Church that was built in the 13th century dominates this most beautiful square of the Upper Town. 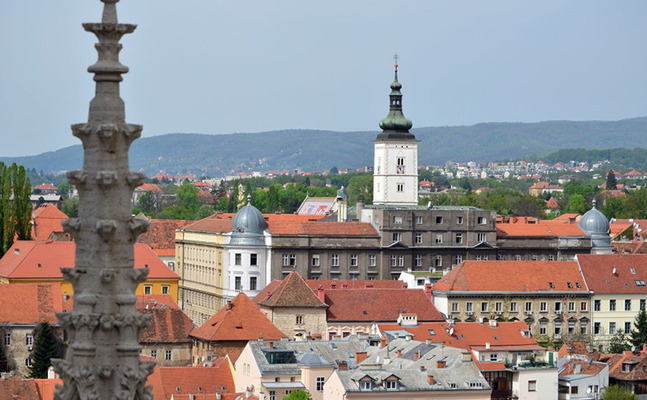 Many events crucial for Zagreb and entire Croatia took place here and many important edifices and institutions are located in this relatively tight space. 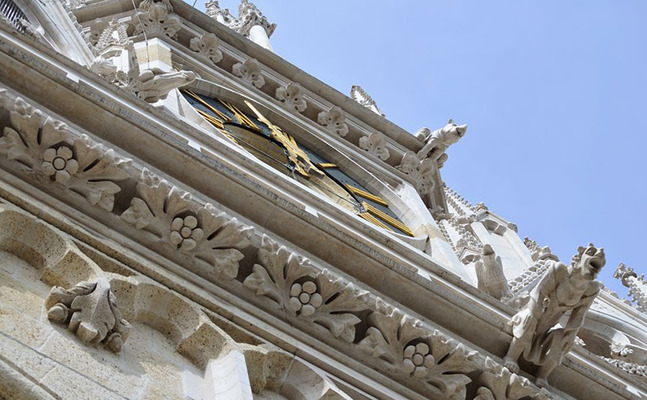 The most attractive of all is St. Mark's Church with its Romanesque naves, Gothic vaults and sanctuary and picturesque tiles on its multi-coloured roof that are arranged in such way that they form historical coats of arms of Zagreb and Croatia. 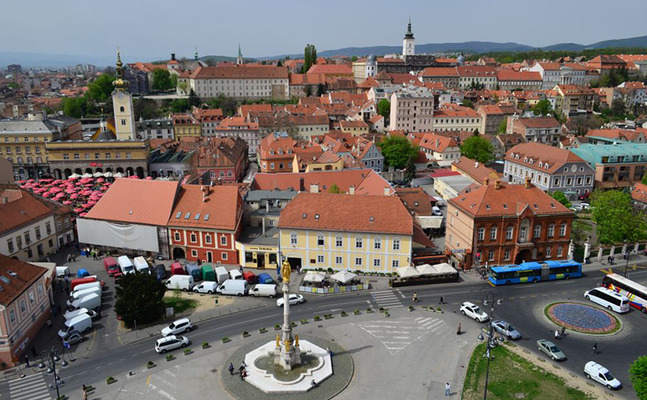 The square also houses a Neo-Classicist building of the Croatian Parliament built in the first decade of the 20th century and Banski dvori, the seat of Croatian Government. (Ban was the civil governor during Austro-Hungarian rule). 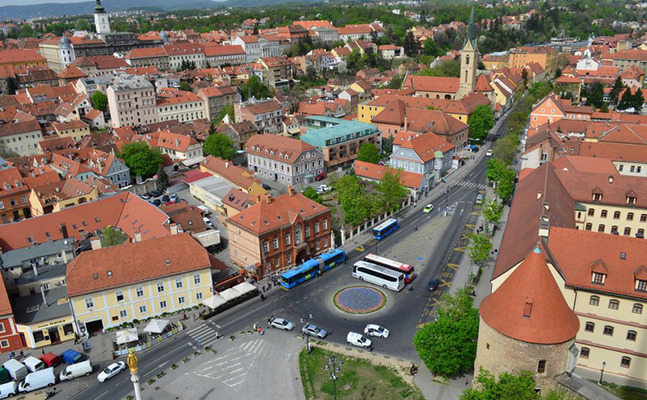 ZAGREB HORSESHOE – the loveliest city squares and the most beautiful parks lined up in a shape of a horseshoe, with fountains and monuments, representative buildings, palaces, museums and cultural institutions – they all make up the amazing “Green Horseshoe of Zagreb”. 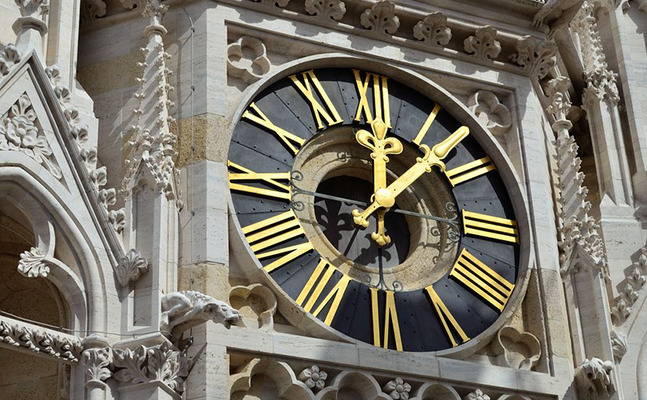 It is also called “Lenuci Horseshoe”, after the city surveyor Milan Lenuci, who deserves the most credit for this pearl of historicism. 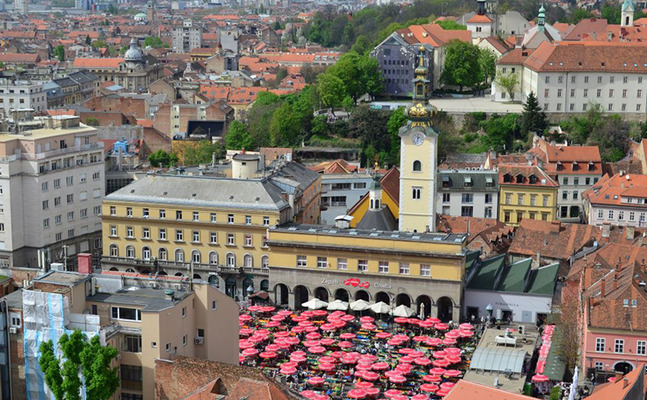 Zagreb horseshoe is part of the Lower Town, the liveliest part of the city today with its pulsating cultural and business centre. 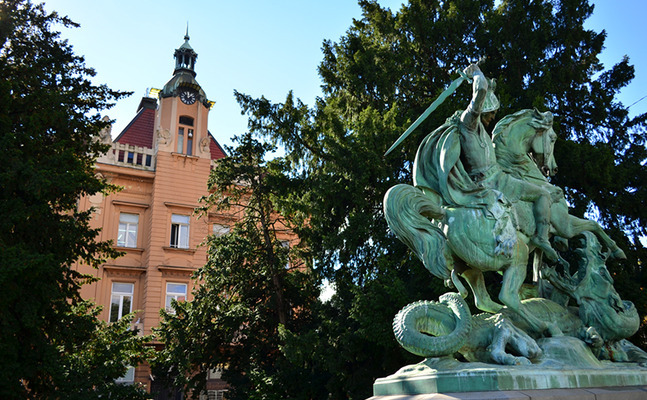 KING TOMISLAV SQUARE (with Art Pavilion in the north and Central Railway Station in the south; it is dominated by an equestrian statue of Tomislav – the first Croatian king). 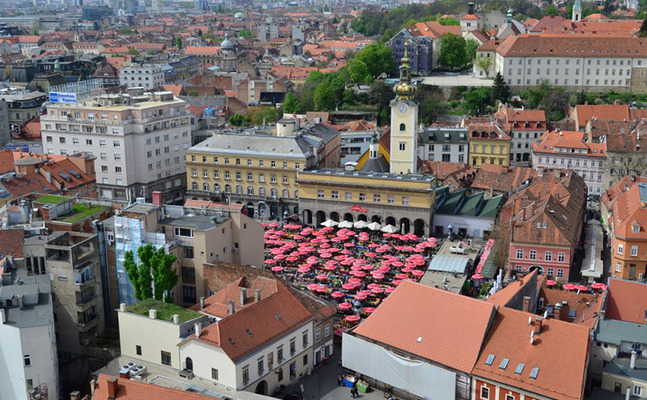 ANTE STARČEVIĆ SQUARE (with Importanne centre – a modern shopping mall and hotel Regent Esplanade – one of the most beautiful examples of Art Nouveau in Zagreb and also among the nicest five start hotels in Zagreb). Lisinski Concert Hall a large concert hall and convention center, named after Vatroslav Lisinski, a 19th-century Croatian composer. National University Library – the beginnings of the National and University Library go back to the 17th century. In the meantime, it changed several locations in the centre. The new, modern building was designed by the Croatian architects and opened in 1995. We cross the Bridge of Freedom (Most slobode) built in 1959 in order to fuse together the Old and the New Zagreb. 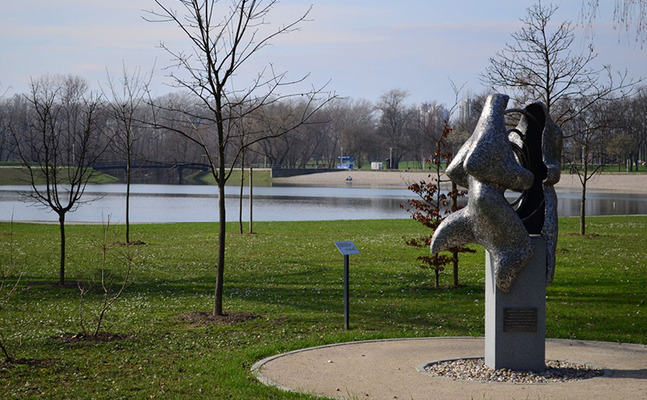 Once citizens of Zagreb used to swim in Sava river and sunbathe on the beach by the northern bank. There were changing rooms and sundecks. Today, swimming in the river in Zagreb is not possible but you will see people fishing and rowing. 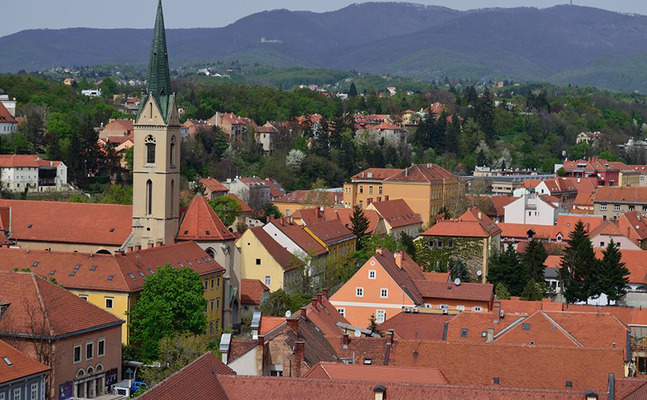 Now we are in New Zagreb area. Zagreb started spreading across the bridge in 1950s. We will start with a visit to the ZAGREB FAIRGROUND. 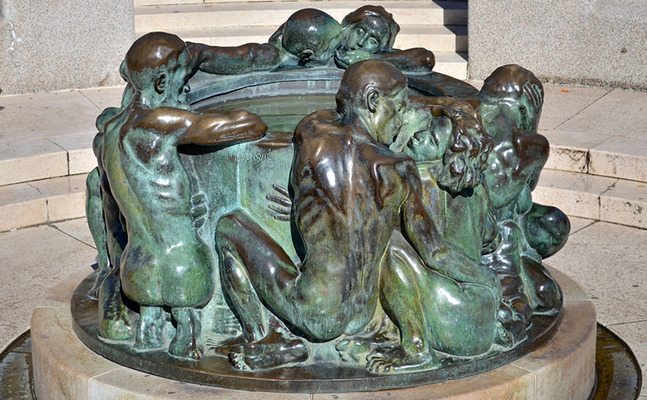 The first international exhibition in Zagreb was held in 1864. 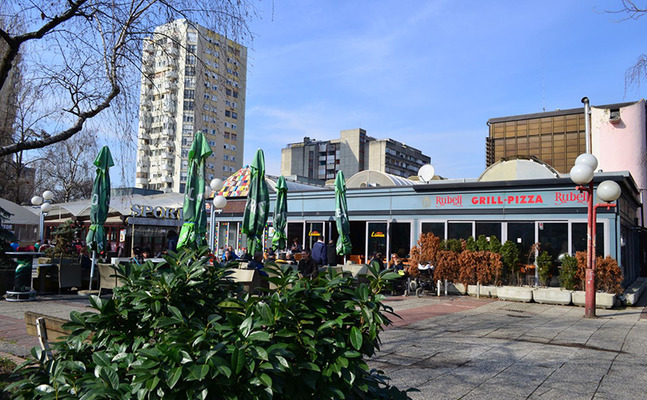 In 1956, after several positions in the centre, it was relocated to the newly constructed Novi Zagreb area. 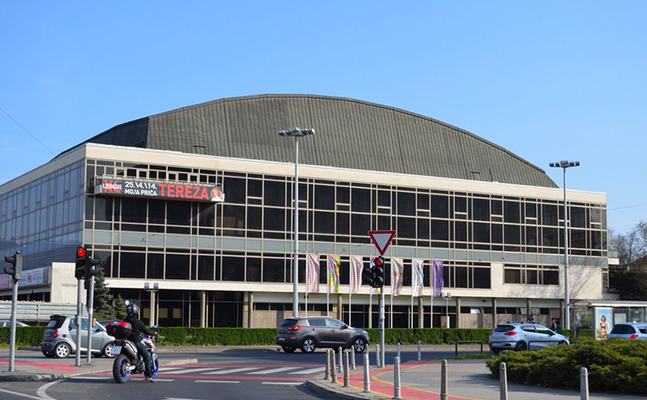 The Zagreb Fair is the main venue in Zagreb for trade shows and fairs and one of the biggest in this part of Europe. Every year more than 25 specialised events are held at the venue, attended by more than 7,000 participants. The overall project was signed by a reputable Croatian architect Marijan Haberle. Many pavillions were designed by the architects whose country had been represented at the Fair. We will visit the Chinese pavillion (from the outside) designed by the Chinese architect Cheng Sung Mao in 1957 (across is the Italian pavillion by Raffaela Contignani). By its surface it is among the largest in Europe. 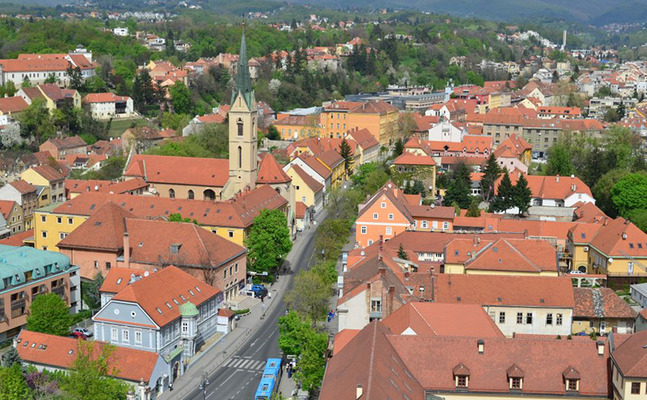 Apart from the professional and recreational horse riding, it has been the place of gathering for the big outdoor concerts (The Rolling Stones, Metallica) and the place where the Hold mass has been held by two Popes (John Paul II and Benedict XIV) who were visiting Zagreb. Almost one million believers attended and a big white cross stands as a reminiscence of these religious events. PARK OF THE NEWLYWEDS – between the quarters of Trnsko and Siget. It was the first park created after the World War II. Between 1964 and 1978 there was a project called „The tree of youth“ that involved the newlyweds and their witnesses who could purchase a young tree that was later planted in the park. On 70 000 m2 of land more than 18 000 trees were planted by donations of the newlywed couples. 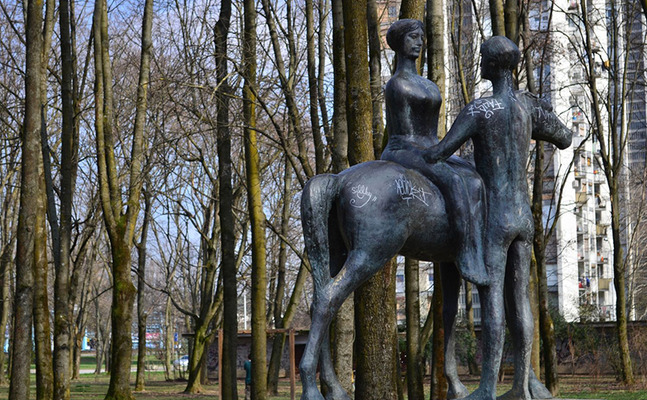 The sculpture of the bride and groom stands in the centre of the park, work of the Croatian sculptor Stipe Sikirica from Trilj. PLANET URANUS (in Siget) - It is known that Zagreb has a Sun. Actually, a Grounded Sun, sculpture made by Ivan Kožarić in 1971. 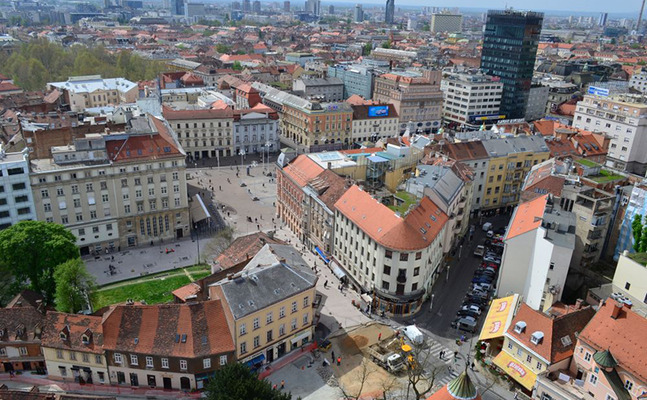 It is located on Bogovićeva street, right in the centre of the city. Inspired by this sculpture, a designer Davor Preis, made an installation called Nine Views in 2004 – he placed nine models of planets (Pluto was still considered a planet at the time) all over Zagreb, which, along with the Kožarić's Sun form a model of the Solar System. The planets' sizes and distances are scaled in proportion to each planet's real size and distance from the Sun. The locations of the planets are easy to ignore, especially the outer ones, which are hard to find without putting an effort. That's why we will show you where Uranus is hiding in New Zagreb and later you are welcome to explore the other planets on your own. 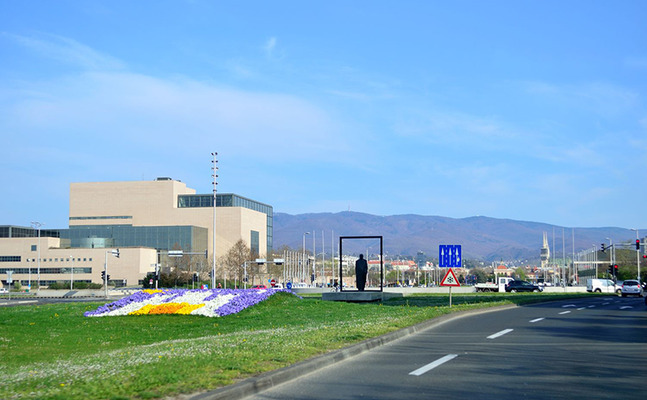 We contiune driving along Dubrovnik Avenue and pass by the first New Zagreb shopping mall (Avenue Mall) and the MUSEUM OF CONTEMPORARY ART (at the end of the tour you are welcome to explore this fantastic new Museum on your own - we can drop you off at the entrance. Bus stop is right in front of the Museum so you will be in the Centre in 10 min time). Contemporary Art Museum is to Zagreb what Tate Modern is to London or Centre Pompidou to Paris. A fantastic, intriguing and exciting display of paintings, photographs, installations, sculptures, videos and much more. We make a short stop in SOPOT neighbourhood and visit the local Elementary School (Primary School) called Ivo Andric after a great Croatian writer. We will be greeted by the School Principle. 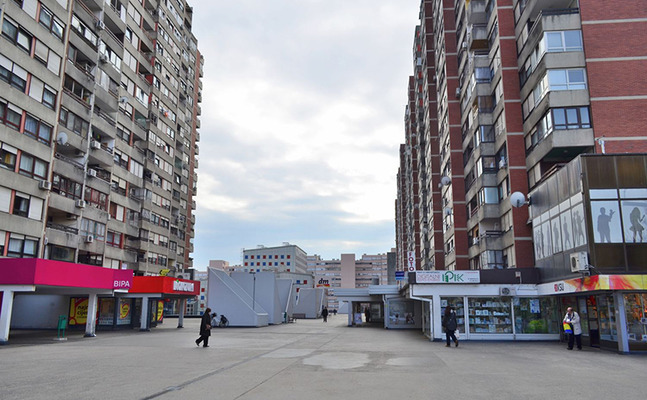 MAMMOTH BUILDING – this used to be the biggest residential building in ex-Yugoslavia and is still among the biggest residential buildings in South-East Europe, housing almost 5.000 people. 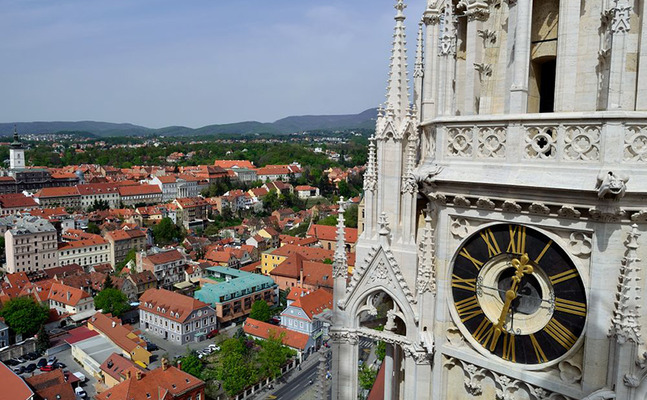 We will take you to the top of the building to see the view over the communal gardens tended by the New Zagrebe citizens. 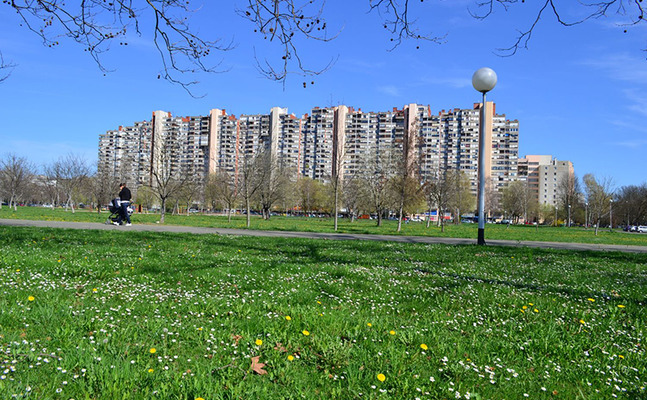 Next we drive towards the ex Yugoslav Army Baracks (along the way we will see atomic bomb shelter built during the Cold war years – every neighbourhood in New Zagreb has it). MARSHALL TITO BARACKS were the biggest Yugoslav army barracks in Zagreb and one of the biggest in Croatia. In 1991, at the beginning of the Homeland war, Yugoslav army was shelling the buildings in the neighbouring Travno and negotiating with the Government to let them leave. Otherwise they threatened to bomb this part of town. Citizens tried to stop them when leaving the barracks (with all the tanks and ammunicion and guns) but didn't manage to. One person died. You will see a short video clip for better understanding. After the war, some of the barracks were renovated and the Ministry of Defence moved in in 2010. It is now a Croatian Pentagon. 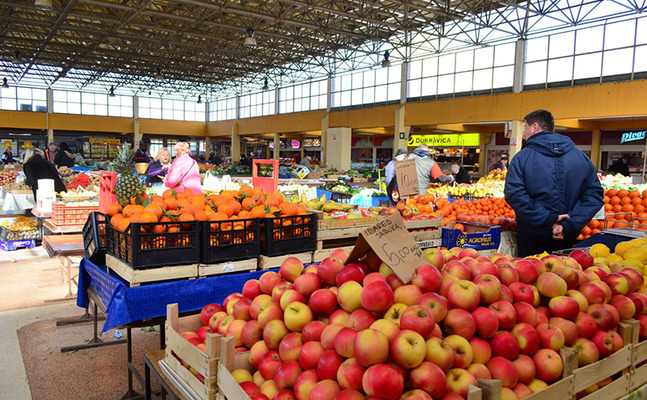 Now to the more lively place – UTRINA FARMERS MARKET. 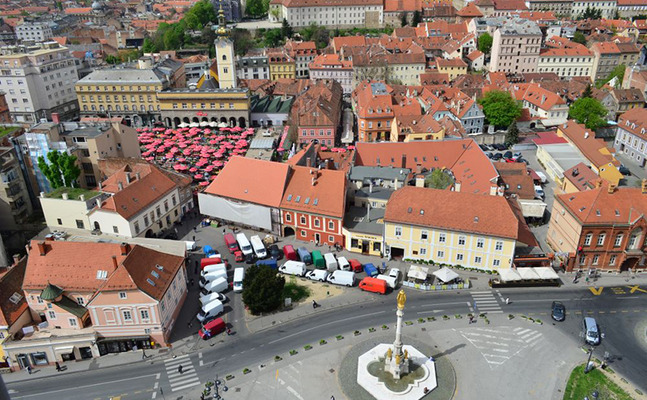 Zagreb has around 15 open-air markets, open every day from early morning till mid afternoon. 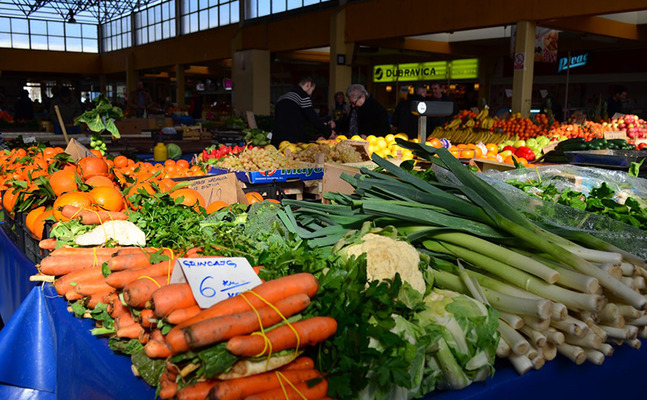 We will stroll around the market to see whats in season of fruits and vegetables, visit the fishmarket, show you the place for best cevapcici in New Zagreb and have coffee in one of the cafes in case of bad weather. 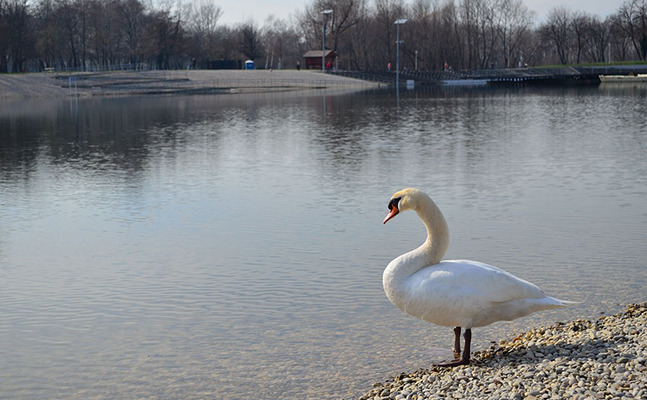 BUNDEK LAKE, a 35 hectare oasis of peace, greenery and nature adjacent to the river Sava. Many locals come here on the weekend to exercise, relax or barbacue. We will have coffee at the lake if the weather is nice. We take you back to the Centre or we bring you to the Museum of Contemporary art to do some more exploring (those who are interested in visiting the Museum). 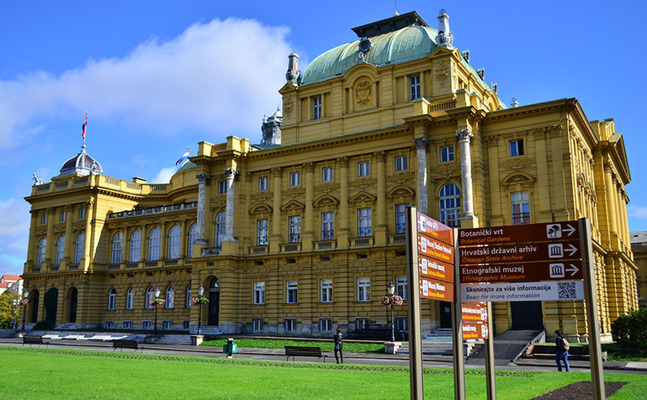 In that case, you will head back to the Centre on your own which is quite simple (buses and trams stop right in front of the Museum – all buses go to the Central Railway Station and tram number 14 takes you to the Main square of Ban Josip Jelacic).